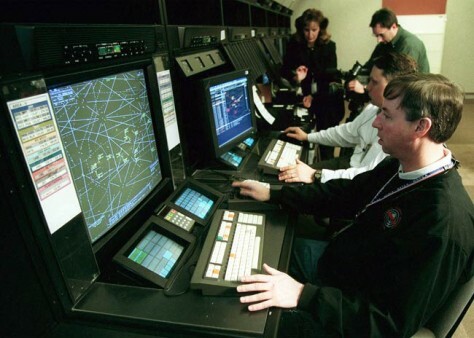 Controllers at the busy Cleveland Air Route Traffic Control Center at Oberlin, Ohio monitor their screens. NATCA, the U.S. controllers' union, says the system is now in crisis, with large-scale retirements of controllers and insufficient hiring of replacements by the FAA producing a situation whereby there are no longer enough experienced controllers to handle traffic safely in four of the busiest areas of the U.S. Controller fatigue is now a major issue, according to NATCA.